WICHITA, Kansas -- Flying evidently doesn't command the same inspiration among young people that it once did if FAA statistics are any indication. Or perhaps we simply have so many other things to distract us that we can take on as past times. Consider these FAA statistics. At the end of 2014 there were 174,883 private pilots in the U.S. Five years earlier there were 221,619. And back in 1999 there were 258,749. The numbers clearly show a decline alarming aviation leaders including FAA Administrator Michael Huerta. While in Wichita recently Huerta talked about the pilot shortage saying, "We are no longer in a place where we have a very large pipeline of pilots coming from the military." "What we need to do is continue talking about aviation as an attractive career and what it represents for the future." Veteran instructor pilot Jerry Griggs challenged me to take flying lessons at least through my first solo and share the joys and challenges of learning to fly. So I did. Griggs got his license at 16 and was giving flight lessons by the time he was 19. We started flight lessons in his Cessna 150 from the Lake Waltanna grass strip near Goddard. We later switched to Stearman Field at Benton and into a Cessna 152 after Griggs sold his plane. We'll be showing the progress along with talking about the issues around the pilot shortage as we continue through August and will be adding to this story. Keep watching on KAKE TV news at six Thursdays. The pilot stated that he and the passenger were nearing the conclusion of a local flight when the engine began to "sputter and run rough." The engine momentarily ran smooth before it began to run rough a second time, followed by a total loss of power. The pilot maneuvered the airplane for a forced landing, and stated that engine power was restored just prior to impact with trees and terrain. The airplane came to rest upright, and sustained substantial damage to both wings and the empennage. During a postaccident wreckage examination, a 1-quart fuel sample was drained from the airplane, and about half of the sample was water. The pilot stated that prior to the accident flight, he had mistakenly fueled the airplane from a container of contaminated fuel. A loss of engine power while maneuvering due to water contamination in the fuel. OCONEE COUNTY, S.C. —Witnesses said a plane that crashed Sunday afternoon in Oconee County was flying low and doing aerobatics before it went down, according to Oconee County Emergency Services Fire Chief Charlie King. Click HERE to watch video of plane flying above Lake Keowee moments before it crashed. Boaters reported that the plane crash about 5:45 p.m. near West Union. King said several people reported the plane flying low above Lake Keowee. He said he will pass the witness reports along to the Federal Aviation Administration and the National Transportation Safety Board. Both agencies will investigate the crash. Fire responders said the pilot was standing in McAlister Road flagging them down and led them to the crash site. King said the pilot told authorities that he was having engine trouble and tried to land on empty streets in a housing development that's under construction, but couldn't reach the roads. The plane went down in some trees, King said. The pilot and the passenger were not hurt. The small experimental plane flew out of a private runway in Walhalla and was on a flight over Lake Keowee when it crashed, King said. King said the pilot either owns or works for JustAircraft, a Walhalla company that builds planes. This is the second plane crash for the company this year, King said. Two people were injured in April when a plane crashed just behind JustAircraft. To read more on that story, click here. 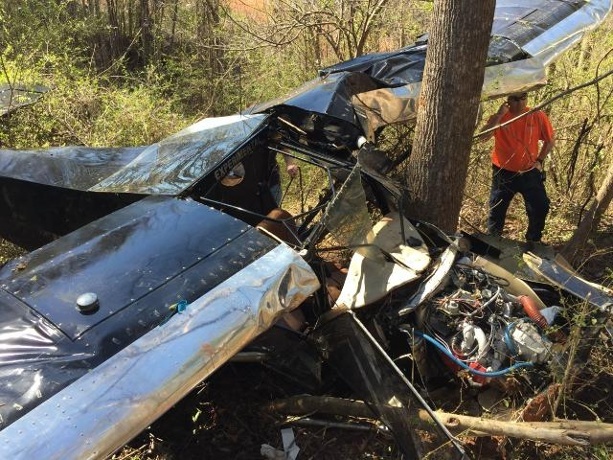 On March 31, 2015, about 1435 eastern daylight time, an experimental Light Sport Just Aircraft Highlander, N376CG, was substantially damaged when it impacted trees and terrain at a private airfield near Walhalla, South Carolina. The private pilot and passenger were seriously injured. Visual meteorological conditions prevailed and no flight plan was filed. The local business flight was conducted under the provisions of Title 14 Code of Federal Regulations Part 91. According to a witness, the accident flight was one of several flights performed to demonstrate the performance characteristics of the airplane to a potential buyer and his friend. The witness indicated that on the accident flight, the airplane was landing toward the east with a tailwind, and travelling faster than normal as it approached the runway. As the airplane descended toward the runway surface, the witness observed an increase in engine power, and the airplane subsequently "ballooned". Shortly thereafter the pilot "added full power" and the airplane began to climb and flew over a 2-story building located about 100 ft east of the runway, along its extended centerline. The airplane then struck trees adjacent to the north side of the building before it impacted the ground in a wooded ravine. The pilot held a private pilot certificate with ratings for single engine land, single engine sea, and instrument airplane. His most recent Federal Aviation Administration (FAA) third-class medical certificate was issued on July 3, 2013. He reported 6,500 total hours of flight experience on that date. Satellite imagery and geographical information system data indicate the turf field was approximately 450 ft long by 60 feet wide, and oriented roughly east-west. The elevation at the west end of the field was about 900 ft, and the east end about 950 feet. The nearest weather reporting station was located at Oconee County Regional Airport, about 10 miles east of the accident location. About the time of the accident, it reported clear skies, visibility 10 miles, winds from the west at 12 knots gusting 21 knots, temperature 79F, dewpoint 36F, altimeter setting 29.92. When will Federal Aviation Administration act? When a drone brings down a plane? Our View: A drone comes dangerously close to a jet in the northeast Valley, with no consequences for its owner. Someone flew a drone up 7,000 feet into the Northeast Valley route airlines use on their approach to Phoenix Sky Harbor Airport. An American Airlines pilot reported coming within 100 feet of the three-prop, black-and-yellow drone. The drone owner put scores of people at risk, breaking federal law. But it’s unlikely he or she will be found, much less held accountable. That doesn’t work, as Sunday’s incident proves. If a single-engine plane had wandered in front of that American jet, the FAA would know who it belonged to. It would have a way to ground the pilot. And the private pilot would also have the eyes to see what he needed to avoid. None of that applies to the drone or its pilot, who was on the ground in Fountain Hills or one of the two adjoining Indian reservations. As consumer-grade drones become more and more powerful, these stories will become more common unless the FAA acts. One solution would be to ban private ownership of drones. That should be a non-starter; responsibly operated, the devices can be useful in so many ways. The better solution would be to precisely define what kinds of drones can go where. License any drone capable of flying at higher altitudes, just as any other aircraft is. Perhaps they should be equipped with a tracking device. Penalties for breaking the rules and endangering others should be severe. The FAA has been dragging its feet for years. It should not wait to act until a large drone gets sucked into a jet engine. The flights raise questions about whether the FBI’s investigation is terror-related. It also raises concerns about privacy violations because of surveillance technology that often does not require a judge’s approval. “There may be a concern about unjust, persistent surveillance of Muslim communities in Michigan that already have reasons to be uncomfortable with some police tactics,” said Nathan Freed Wessler, a lawyer with the American Civil Liberties Union’s speech, privacy and technology project in New York. The flights have so concerned Muslim community activist Dawud Walid that he plans to complain this week to the House Judiciary Committee. The U.S. Attorney’s Office in Detroit and the FBI declined comment about the recent flights. The 2010 Cessna is registered to a company called OTV Leasing of Bristow, Va. The registration, like other aircraft included in the AP investigation, is linked to a bank of post office boxes in Bristow. OTV Leasing was among at least 13 fake companies used by the FBI that were identified during the AP investigation. The chief executive of OTV Leasing is listed on aircraft records as Robert Lindley. The AP reported that Lindley is listed as CEO of several other front companies, and has at least three distinct signatures on aircraft records. The FBI did not disclose to the AP whether Lindley was a U.S. government employee; the news agency could not reach him for comment. In a 30-day period, an AP review found, the FBI flew above more than 30 cities in 11 states, including parts of Boston, Chicago, Dallas, Houston, Minneapolis, Phoenix and Seattle, as well as southern California. The FBI told Congress in 2010 it had at least 115 planes. The FBI’s aviation program is not classified and is used to follow terrorists, spies and criminals, FBI Deputy Director Mark Giuliano said in a statement following the AP investigation. According to the AP probe, the planes are equipped with high-tech cameras and, in rare instances, technology that allows the FBI to track thousands of cellphones. 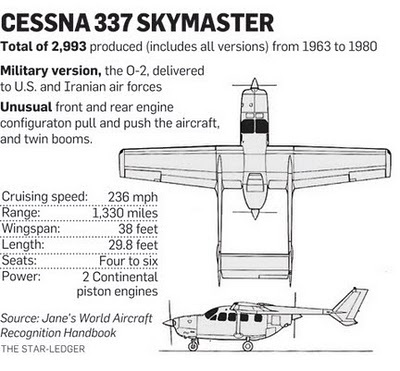 The FBI said the aircraft are not equipped, designed or used for bulk collection or mass surveillance. Neither are they routinely equipped with technology that mimics cell towers and lets the FBI locate and intercept communications from cell phones and wireless devices. “We have an obligation to follow those people who want to hurt our country and its citizens, and we will continue to do so,” Giuliano said in a June statement. Last weekend’s flights in Dearborn fit a pattern used by the FBI in other cities, including in May in Baltimore following riots after the death of a black man, Freddie Gray, who was injured while in police custody. The Cessna flew over the Dearborn area in slow-speed, counterclockwise orbits several miles wide and about one mile above the ground. The Cessna’s orbits late Saturday and late Sunday were nearly identical, bordered by Michigan Avenue to the north, Telegraph Road to the west, Ecorse Road to the south and Greenfield Road to the east. Each night, the Cessna made 19 nearly identical loops over the Dearborn area and neighboring communities, including parts of Dearborn Heights, Allen Park, Taylor and Melvindale. The center of the surveillance area is near the Dearborn Public Schools building on Audette, east of West Outer Drive. At 5:51 p.m. Saturday, the four-seat Cessna, white with a splash of red on the nose and tail, first appeared on radar flying over a neighborhood of $300,000 homes in Harrison Township, north of Metro Parkway in Macomb County. The plane zigzagged over the community and neighboring Clinton Township before flying south and cutting west across Hamtramck and Detroit. By 7:32 p.m., the Cessna was in Dearborn. The plane spent more than 90 minutes making 19 loops, covering an area that includes several landmarks, including Greenfield Village, Ford Motor Co.’s Dearborn Development Center, Edsel Ford High School and the American Muslim Center on West Outer Drive. “This just feeds into the thought of many of us in the Muslim community leadership that the FBI claims to want to have good relationships with Muslims and be transparent in the light of day, and then they are spying and snooping on us under the cover of night,” said Walid, executive director of the Michigan chapter of the Council on American-Islamic Relations. He was unaware of the flights until being told by The News. “If the FBI is, in fact, tracking one particular suspect for any type of crime, be it gang-related, drug trafficking or violent extremism, that is OK, but history informs us the FBI has been involved in mass surveillance and racial and religious mapping of communities of color,” Walid said. On Wednesday, Walid sent an email to a lawyer for House Judiciary Committee member U.S. Rep. John Conyers, D-Detroit, asking if the congressman can investigate the flights. Conyers’ district includes several communities along the FBI plane’s flight path, including Detroit, Dearborn Heights and Melvindale. “Under the guise of national security, our government claims to be surveilling certain suspect communities but in reality, they are collecting data and invading the privacy of all Americans,” Walid said. “If we look at the recent history of domestic terrorism and who are the primary perpetrators, we see that it’s not Muslims in metropolitan Detroit,” he added. The FBI did not alert Dearborn Police before, or after, the flights. The Cessna left Dearborn just after 9 p.m. Saturday and headed north before disappearing from radar minutes later in Bloomfield Township. In all, the plane spent 46 percent of its flight time circling over the same Dearborn area after traveling to and from the location. On Sunday, the Cessna popped up on the radar in at 6:33 p.m. over White Lake Township and the Pontiac Lake Recreation Area. Local police were unaware of the FBI flight. The plane flew in a zigzag pattern — through Waterford Township and into northern Oakland County, cut through Pontiac, soared over Oakland Hills Country Club in Bloomfield Hills and looped through Lathrup Village and Southfield before heading south. The Cessna was back in Dearborn by 7:42 p.m.
Like the night before, the fixed-wing plane made 19 loops around the same part of Dearborn before flying north by 9:41 p.m. The plane disappeared from radar over Lake Sherwood, just north of Proud Lake State Recreation Area in Commerce Township. In all, about 60 percent of the plane’s flight time was spent in the low, slow, counterclockwise loop above Dearborn and surrounding communities. 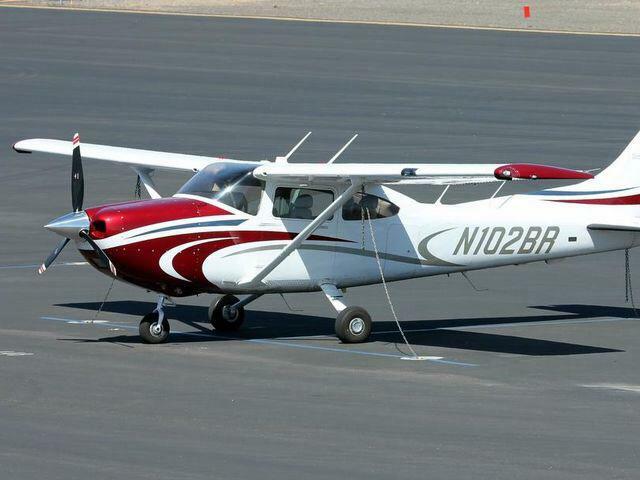 A second Cessna Skylane linked to the FBI’s aviation program, meanwhile, flew across Metro Detroit on July 29. The Cessna showed up on radar northeast of downtown Pontiac before flying east during an 11-minute flight that ended when the plane disappeared from radar over Lake St. Clair. Unlike the Dearborn area flights, the Cessna did not orbit over any one area during the brief trip. (WXYZ) - A little known but unclassified FBI surveillance program is drawing criticism by some local community activists. The program, which only a few years ago was made up of 115 small planes.nationwide, equips aircraft with high-tech cameras that make it an eye in the sky capable of tracking suspected terrorists or criminals. Now, some are voicing concerns about the program thanks to recently reviewed flight patterns, some showing an FBI plane making repeatedly circling over the Dearborn, home to one of the country’s largest Muslim populations. Dawud Walid is the Executive Director of the Michigan chapter of CAIR, the Council on American-Islamic Relation. "I think there’s a strong possibility that this could be a part of the FBI’s broader history of being involved in racial, religious profiling," Walid said. "It opens up Pandora’s box to a broader situation of the government acting like big brother, being Orwellian, snooping on lawful activities of Americans, and it could be used for not decent purposes." Not so fast, says Andy Arena. He is the former special agent in charge of the Detroit FBI, and now heads up the Detroit Crime Commission. "They’re there basically to support and enhance ground surveillance units," Arena said. "They do have electronic capabilities, they can capture some phone records but it’s got to be with a court order." Paul Abbate, the current special agent in charge of the Detroit FBI, insisted today by phone that the program is being operated within the law. "The FBI does not employ any aviation assets to conduct mass surveillance, nor to target specific communities," Abbate says. The FBI says there are no evidence of any imminent terror attacks in southeast Michigan. The woman who allegedly attempted Wednesday to steal a corporate jet from the St. Louis Downtown Airport has been committed to the psychiatric ward at Touchette Regional Hospital. The results of her examination will determine if she’s charged in relation to what Sauget Police Chief Patrick Delaney said was a bizarre attempt to sneak onto the airfield and steal a plane for what appeared to be a short vacation. Representatives from the Transportation Safety Administration, FBI, the Department of Homeland Security and the U.S. Attorney’s office interviewed her Wednesday morning looking for terrorist ties and motivation. But Delaney said any sinister motives have been ruled out, and he doesn’t expect federal charges against the woman, whose name has not been released because she has not been charged with a crime. Police said only that she is 38 and from downtown St. Louis. The woman talked her way past a security guard at the airport at 4:21 a.m. Wednesday. She parked her car then walked with her luggage across the tarmac to a 20-seat Global Express jet, owned by a bank in Hong Kong. Once inside, she headed into the cockpit of the plane parked in front of Hangar 22 at Jet Aviation. Police said the woman had no experience flying a plane. But she is an aviation enthusiast who has apparently read many articles about aircraft. Delaney said it seems at this point that the woman arrived about the time of a shift change and that she passed herself off as an employee of Jet Aviation, the business where the plane she allegedly tried to take was parked. The woman was spotted on surveillance cameras and airport security called for help. Police, in turn, called the local fire department to the airport for a “special assignment” — the nature of which was not disclosed over emergency responders’ radios. Police rushed the plane and the woman surrendered. Delaney said she was very polite and cooperative as she gave herself up, apparently uncertain what all the fuss was about. He suspects she may have a mental health issue and that she didn’t know the gravity of her actions. The woman has no previous criminal history. The Sauget Fire Department as well as the St. Clair County Hazardous Materials Response Team and a bomb-sniffing dog were brought in to make sure the suspect didn’t have any weapons, explosives or poisonous chemicals. Delaney said the plane and her bags were determined not to contain anything dangerous. It did not appear the suspect had all her belongings with her as if she planned to flee the area and not come back. 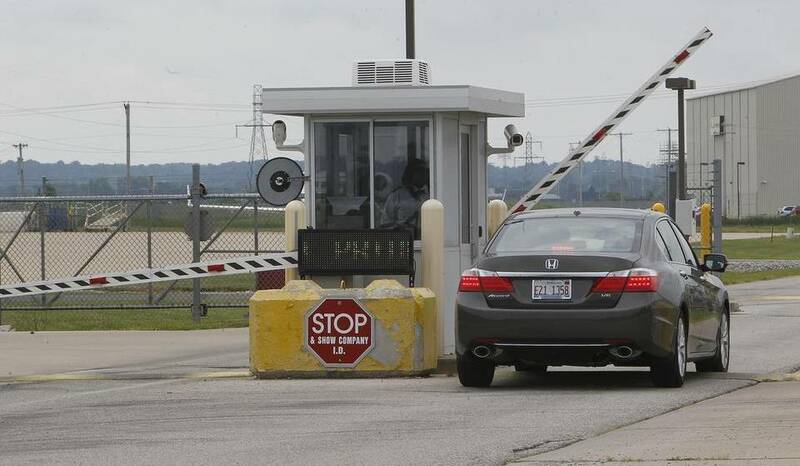 Police are working with the airport to make sure a similar security breach can’t happen again. According to police, more than 1,000 people work at the airport which is busy 24 hours a day. The Global Express is manufactured by Canandian-based Bombardier Aerospace. It is nearly 97 feet long with a 94-foot wingspan and has a top speed just below 600 mph, or mach .89. It can carry 39,250 pounds of fuel and has a 5,200-mile range. Jet Aviation is a company that maintains and outfits jet aircraft for manufacturers and both private and corporate owners of planes. They have locations throughout the world in America, Europe, Asia and the Pacific. SAUGET, Ill. — A woman talked her way past a security guard early Wednesday and entered the cockpit of a private plane at an Illinois airport before she was caught and taken to a hospital for psychiatric observation, authorities said. Police in Sauget, Illinois, say the 38-year-old St. Louis woman entered a 20-seat Global Express jet on the tarmac of the St. Louis Downtown Airport about 4 a.m. Wednesday. Detective Sergeant Vito Parisi said the woman had started driving to Lambert-St. Louis International Airport but instead wound up at the smaller air field across the Mississippi River and just east of the city. The plane, which is owned by a Hong Kong bank, had been disabled while it underwent maintenance. Local prosecutors are reviewing the incident to determine whether to file criminal charges such as trespassing or burglary. Officials don't believe that the incident was connected to terrorism, but the FBI, Department of Homeland Security and federal prosecutors are involved in the investigation, and the local fire department and a county bomb squad responded as a precaution. Parisi said the woman — who surrendered without incident after her entry on the plane was caught on airport security cameras — was familiar with airplane operations. Sauget Police Chief Patrick Delaney told the Belleville News-Democrat that the woman had packed her luggage for a short vacation. She expressed an interest in flying to both New York and China but was not a trained pilot, the chief said. The airport is owned by the Bi-State Development Agency, a two-state government entity that operates the region's light rail and commuter bus systems. Officials declined comment, but a spokeswoman said in a written statement that "security procedures are in place to prevent unauthorized persons from accessing the ramp." Parisi said that he expects the security breach to prompt more rigorous oversight at the airport. "Obviously they're going to be making some serious changes," he said. Retardant bombers and helitack teams might be safer if they talked more with the wildland firefighters they’re defending on the ground, according to a new study by the federal Centers for Disease Control and Prevention. Aircraft accidents are the leading cause of death in forest fires by a slight margin, the study found. The category accounted for 26 percent of fatalities between 2000 and 2013. Tied for second place were vehicle incidents (including rollovers and being hit by a vehicle) at 23 percent, and medical events such as heart attacks at 23 percent. The fourth leading cause was burn-overs or entrapment by the forest fire itself, at 15 percent. O’Connell said ground firefighters on the scene might provide better advice on how winds shift around a water-dipping pond or obstructions at a landing zone. Dan Snyder of Missoula-based Neptune Aviation has seen a preliminary version of the study. He said it reinforces an effort the wildfire aviation industry has been working on for several years. SMS is a method of reviewing an entire organization, government or private, for how each activity affects safety. To get their statistics for the National Institute for Occupational Safety and Health report, O’Connell and co-researcher Corey Butler gleaned several different state and federal data sets of workplace injuries and fatalities. They also expanded some categories to better classify deaths that show up in one set but not another. In the case of aviation-related fatalities, they combined aircraft crash incidents with deaths of smokejumpers or helitack firefighters, whose planes may not have had any reportable problems. The study looked at 298 wildland firefighter fatalities over the 13-year period. They found 41 aviation-related events that killed 78 people. About a quarter of those involved some kind of mechanical failure in the aircraft, while another quarter was attributed to the pilot’s loss of control. Private contractors employed 42 of the 78 aviation victims, followed by the federal government (15), state agencies (10), ground contractors (7) and the military (4). California was the site of a quarter of the deaths, with eight occurring in Nevada and seven in Idaho. The study was limited by several factors. The authors said they weren’t able to reliably gather information on aviation deaths that might have occurred on training missions, maintenance or transit to or from a fire. They also had difficulty determining the total population of wildland firefighters, because of the variety of local fire departments, prison inmate crews and interrelated state agencies that all provide help at a forest fire. And perhaps most critically, they found it hard to devise a good measuring stick to see what trends might flow from their statistics. For example, they found the number of aviation-related fatalities was higher between 2000 and 2006 (28) than 2007 and 2013 (13), but that straddles a period when the federal government briefly grounded most of its large air tankers after a series of fatal crashes in 2004. Just over half the incidents involved airplanes, with helicopters making up 45 percent. 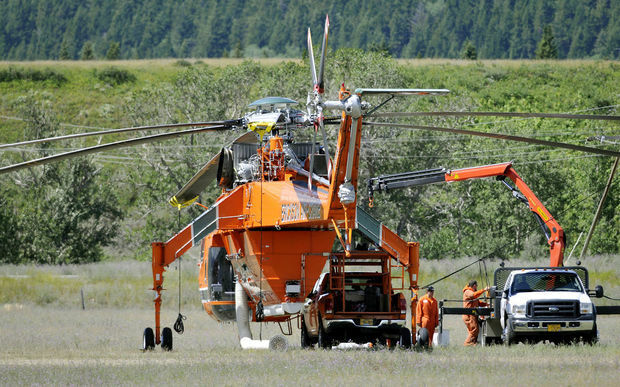 Causes ranged from engine failure to midair collision to failure of rappelling gear in a helitack mission. Thirty years after accusing a Bland County pilot of flying illegal drugs into Southwest Virginia, prosecutors have dropped all charges against Wallace S. Thrasher. U.S. Attorney Anthony Giorno, citing unspecified evidence that Thrasher is dead, notified the court of its intention to end the case last week. U.S. District Judge Glen Conrad signed the dismissal order Monday. That will likely be the last entry in the case, which was opened on Feb. 28, 1985, to call Thrasher to account for an alleged drug conspiracy. Authorities have said Thrasher flew marijuana from Belize to the United States during the 1980s. Court papers filed in Florida years ago said he died in a plane crash in Belize on Nov. 4, 1985, but some federal authorities in Roanoke suspected he survived. While calling him a fugitive, they stayed ready to prosecute should he surface. 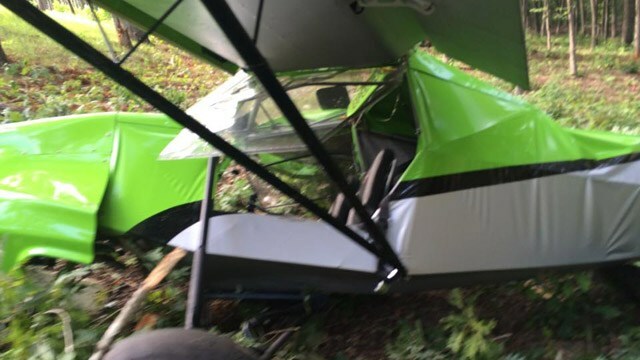 Shortly before the crash in Belize, a plane owned by Thrasher crashed in Carroll County, leaving one man dead and scattering 570 pounds of marijuana over Fancy Gap Mountain, according to news reports in The Roanoke Times. In Roanoke, authorities upgraded their criminal complaint naming Thrasher in Roanoke federal court to an indictment in 1987. But the case never went to court because authorities did not have Thrasher. The decision to now end the case did not spring from any new information or recent event, but a routine open-case review, said Brian McGinn, spokesman for the U.S. attorney’s office. 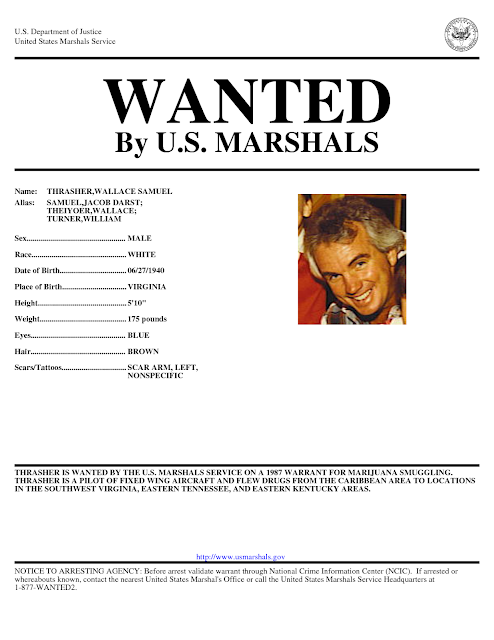 “Despite exhaustive efforts by the United States Marshal and other state and federal law enforcement agencies, Thrasher has not been located or arrested and he remains a fugitive. The available evidence suggests that Thrasher is deceased,” Giorno wrote. Even if Thrasher is alive, he would be difficult to convict because witnesses would not be available and too much time has gone by, Giorno said. ROANOKE, Va. - A known drug smuggler from southwest Virginia had a federal indictment from the late 80s dropped Monday. The reason why? The feds now officially say they think he's dead. In 1984, a plane owned by Wallace Thrasher crashed in Carroll County. On board were a dead pilot and hundreds of pounds of marijuana. A drug ring was broken up by the U.S. Attorney's Office in Roanoke and even a drug lord from South America was convicted. But Thrasher was never found. 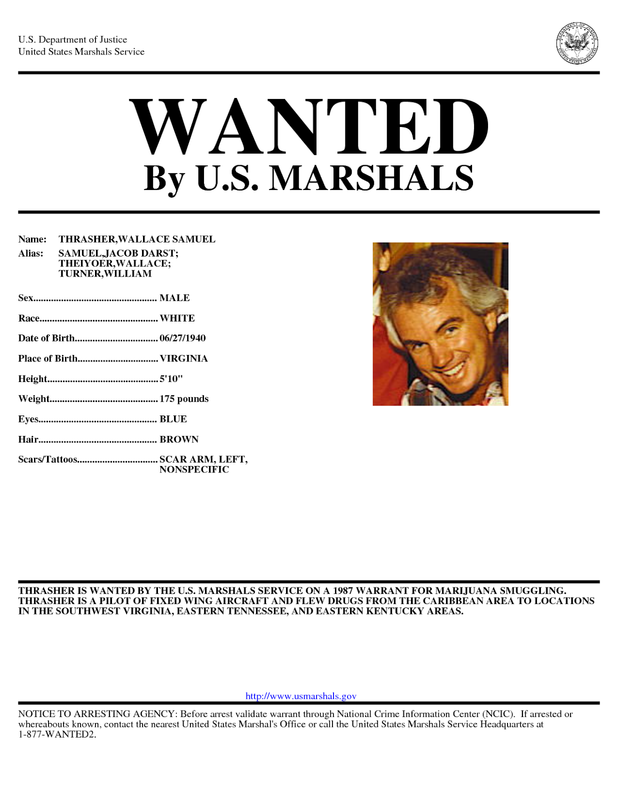 He was charged in 1985 after investigators tied the plane to Thrasher. He was indicted in 1987 when it was thought he still might be alive. On July 27, U.S. Attorney Anthony Giorno filed a motion to dismiss a smuggling charge, saying he now believes Thrasher is dead. Monday, a district judge signed the order without definitive proof of what ever happened to him. "Even if Thrasher is not deceased, the passage of time and unavailability of witnesses would make it difficult to prosecute the case effectively," Giorno wrote in his filing. "Upon review of my filed motion, there really is nothing I can add by way of public comment," Giorno responded to an email seeking additional information. "Much as I would like to discuss this matter, I don't have anything to say publicly beyond the language in the motion." In 2000, former WDBJ7 Anchor Keith Humphry filed a report on the Thrasher saga that centered around his wife, Olga, his lawyers (some who went to prison themselves,) and even a farm in Bath County that was the drop-off site of many plane loads of pot and cocaine. The docket is stored on NTSB microfiche number 26913. AT ABOUT THE 2,800 FT LEVEL THE ACFT FLEW INTO THE MOUNTAINOUS TERRAIN WHICH WAS OBSCURED BY CLOUDS. WITNESSES OBSERVED 2 PREVIOUS ATTEMPTS TO FLY OVER THE RISING TERRAIN UNDER THE CLOUD LAYER. DEPARTURE AND DEST ARPT, PLT IDENTITY, AND ACFT OWNER ARE ALL UNKNOWN. LAW ENFORCEMENT OFFICERS ESTIMATE THAT APRX 1,000 LBS OF MARIJUANA WERE ABOARD THE ACFT. MOST OF THE WRECKAGE WAS DESTROYED BY POST CRASH FIRE. THE ACFT WAS ORIGINALLY MANUFACTURED AS A DRONE FOR THE U.S. ARMY. IT WAS SIMILAR TO A BEECH DEBONAIR, A TOTAL OF 12 WERE BUILT. The pilot who towed an aerial banner over Gillette Stadium last week that taunted Patriots players and fans about the “Deflategate” controversy says he was kicked off a local airport’s property following the aerial stunt. But airport staff said that the request to leave the airfield was merely made in jest. Ashley Chalmers, owner of Jersey Shore Aerial Advertising, said he was paid by a group of New York Jets fans to tow the banner over the Foxborough stadium on the first day of training camp. 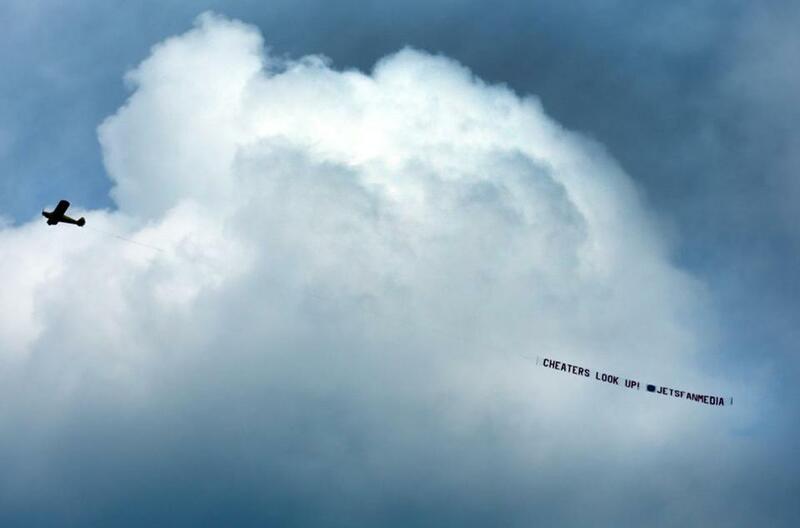 The banner read, “Cheaters Look Up!” It was signed by @jetsfanmedia. After circling the stadium, Chalmers landed his plane at the Mansfield Municipal Airport, which is 10 miles from Gillette. While he was packing up the banner and getting ready to fly back to his company’s headquarters in New Jersey, a worker at the airport drove up to Chalmers and told him he should leave the grounds immediately. But then, Chalmers said, he realized there was a serious tone in the man’s voice. Kelley Dinneen, president of King Aviation Mansfield, which manages the airport for the town, confirmed that Chalmers was asked to leave once he touched down. Dinneen said she was upset about the content of the message that Chalmers had attached to his plane. She said “Cheaters Look Up!” was a form of bullying, and Chalmers’s company allegedly lied to airport workers before he flew from New Jersey into Mansfield, where he hooked the banner to his plane before taking off for his mission. She called the banner — and the Jets fans who paid for it — childish. “They should be focused on the positive aspects of the game, not negativity,” she said. Dinneen said her attitude toward the banner’s content isn’t limited to anti-Patriots messages. Chalmers said he wants Patriots fans to remember one thing: Don’t shoot the messenger, he was only doing his job. “I’m just an advertising company. I’m not a sports guy, so I don’t really get it when people get so passionate and pissed off. I couldn’t be any more neutral,” Chalmers said. An aircraft traveling over South Jersey Sunday afternoon was forced to make a sharp turn to avoid a drone in the air, the Federal Aviation Administration said. According to Federal Aviation Administration officials, the pilot of a Piper PA28 aircraft spotted an Unmanned Aircraft System, or drone, in the air in Washington Township, northwest of the Sewell. The pilot reported to the Federal Aviation Administration that he was forced to make an evasive turn to avoid hitting the drone. The aircraft was flying approximately 1000 feet in the air. On August 1, 2015, about 1745 central daylight time, a Cessna 182 airplane, N1685R lost engine power shortly after departing the Watertown Municipal Airport (KRYN), Watertown, Wisconsin. The airplane impacted trees and was substantially damaged. The private rated pilot was seriously injured. The airplane was registered to and operated by a private individual under the provisions of the 14 Code of Federal Regulations Part 91 as a personal flight. Visual meteorological conditions prevailed at the time. The responding Federal Aviation Administration (FAA) inspectors reported that the pilot was doing touch-and-goes. 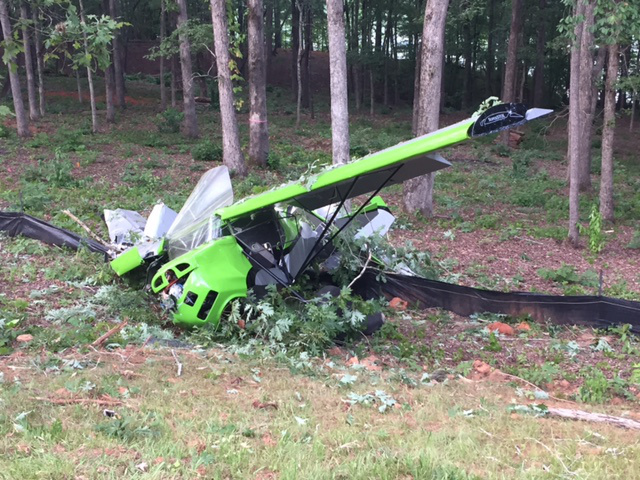 The engine lost power and the airplane impacted trees and terrain about a mile southeast of the airport. The inspectors reported that the airplane sustained damage with the empennage separated from the fuselage, heavy damage to the right wing and fuselage. After an initial documentation of the wreckage, the airplane was transported to an airport hangar for further examination. AIRCRAFT CRASHED UNDER UNKNOWN CIRCUMSTANCES, WATERTOWN, WI. 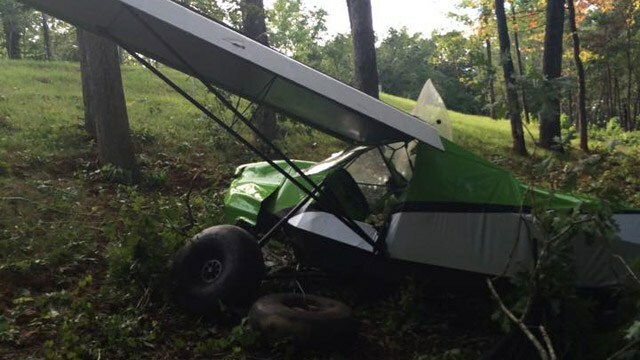 WATERTOWN — Officials with the Jefferson County Sheriff’s Department and the Watertown Fire Department tell FOX6 News a single-engine plane crashed on Saturday evening, August 1st, and one man was injured. The crash occurred in a wooded area south of Watertown (near Beryl Drive) shortly before 6:00 p.m. The man who was injured was taken to Watertown Regional Hospital. An initial investigation has revealed a 1978 single-engine Cessna was approaching the Watertown Airport for landing. 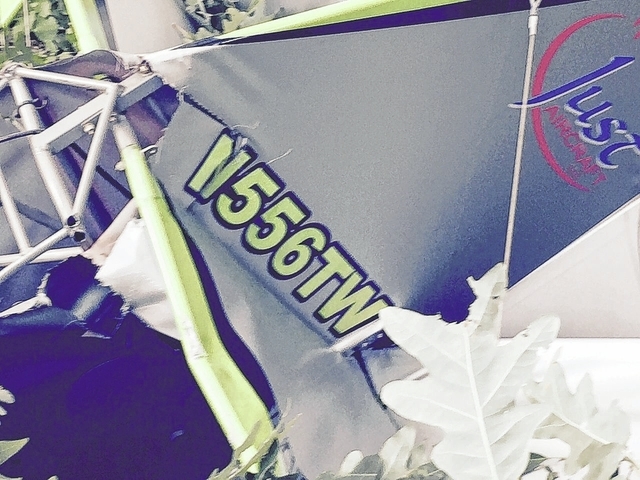 The plane lost engine power and crashed through some trees — coming to rest on private property. The plane’s pilot received only minor injuries. The cause of the crash is under investigation by the FAA and NTSB. Jim Davis comes from a small town in Arkansas and flies a small plane he built from a kit. But the man with a big heart is on a mission to offer hope and encouragement for cancer patients all across the country while taking them on a free ride in his aircraft. On Saturday, Davis touched down at the St. George Regional Airport in his experimental plane to offer a free ride to a local cancer survivor — Dixie State University art professor Glen Blakley. The Utah stop was the 37th state Davis has visited and he says he’s not finished yet, even though the 74-year-old pilot was diagnosed in December with probable stage 4 cancer. “I went in for my semiannual CT scan. They found a spot on my liver, one on my lymph node and a new one on my lung,” the four-time cancer survivor said. The doctor told Davis the cancer had probably already spread and that he shouldn’t expect to live much longer – maybe nine months. “So, I did a lot of praying. … I began to think about all the things I hadn’t done and how I was going to cram them all in in nine months time. One thing I’d always wanted to do was fly my little plane all around the United States,” Davis said. After visiting the Eastern states and returning home for a new CT scan, he learned the spots on his liver, lymph node and lung were gone. “So I praised the Lord and continued my journey,” he said. He also said he tries to alert people to the need to have regular doctor’s exams so that they don’t discover cancers too late to effectively treat them. Davis is under no illusions about cheating death forever, and at age 74 he figures his time will probably come sooner than later. And the former smoker accepts personal responsibility for the lip and lung cancers that have troubled him in the past. But maintaining a positive attitude has helped strengthen his immune system, he says. “In the meantime, I try to live every day to its fullest,” he said. 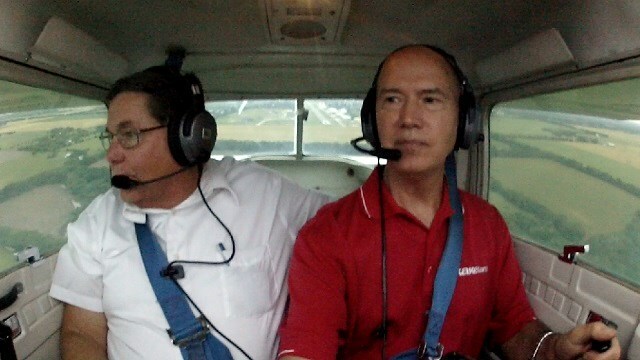 In Louisiana, Davis flew with a man who has incurable pancreatic cancer. He was happy to learn in an email last month that the man is “still alive.” In Mississippi, his passenger was a 14-year-old “beautiful young lady” who was weak after completing a round of chemotherapy the day before. “By the time we landed she had a smile on her face from ear to ear and she gave me a big hug,” he said. The rides don’t include any adventurous acrobatics, and Davis is careful not to take risks in inclement weather. The Southwest’s monsoon weather has set him back three days on his itinerary, he said. Davis' flight plans with Blakley were cut short when wind at the airport picked up -- "the wind sock was standing straight out," he said. But he had a nice tour of the town with Blakley, and an offer to resume the ride Sunday morning is still on the table if it doesn't conflict with Blakley's church schedule, he said. After offering a ride to a cancer patient in Kingman, Arizona, Davis crossed the Grand Canyon on Saturday and met his contact in St. George — Jennifer Carroll, who is president of the local EAA chapter with her husband Pat, a SkyWest pilot. Carroll said they learned about Davis when he sent them a couple of newspaper articles and a letter explaining his efforts to help cancer patients. Carroll coordinated the details between Davis and Blakley, a two-time survivor, and ensured Davis would have a place to stay the night. Next, Davis is headed to Pahrump, Nevada and then to California as the next stops on his Western states swing. He was disappointed, he said, that he didn’t have a way to get his plane to Hawaii. And he didn’t know if his plane would be legal over Canadian airspace if he tried to fly to Alaska, but he has upcoming stops arranged in Idaho, Montana, the Dakotas and elsewhere. Along the way, he’s received some donations – in Kingman, his hotel comped his room, he said, and the airport provided him with lunch. A few club chapters have provided financial help, but other than that he’s left to rely on his savings. Does he have enough saved to complete the rest of his journey? “Either that, or I know my banker’s phone number,” he said. Four-time cancer survivor Jim Davis, an Arkansas pilot, poses with his home-built plane Saturday at the St. George Regional Airport. Davis is making it his mission to visit every state in the continental U.S. and offer free flights to cancer patients to help encourage them as they fight their illnesses. Pilot Jim Davis, left, and Jennifer Carroll discuss preparations for Davis to fly with cancer survivor Glen Blakley on Saturday at the St. George Regional Airport. The noninstrument-rated commercial pilot departed for the cross-country flight over mountainous terrain in instrument meteorological conditions. A witness observed the airplane take off from runway 22, disappear into an overcast layer at 300 ft above ground level (about 550 ft mean sea level [msl]), and then reappear heading in the opposite direction. The witness reported that the airplane departed the traffic pattern heading northeast. The wreckage was located in mountainous terrain at an elevation of 1,223 ft msl, 2.8 mi east of the departure airport. Meteorological data indicated that, at the time of the accident, a cloud layer extended over the accident site from about 550 ft msl to about 2,100 ft msl, and, at the elevation of the accident site, the terrain would have been obscured by clouds. Examination of the wreckage did not reveal evidence of any preimpact mechanical malfunctions or anomalies that would have precluded normal operation of the airframe or engine. The orientation of the wreckage indicated that, at impact, the airplane was heading south and traveling at a ground speed consistent with normal traffic pattern speeds. The damage to the airplane was consistent with controlled flight into the terrain, and the airplane's impact heading was consistent with the pilot attempting to return to the airport when the airplane collided with the rising terrain. The noninstrument-rated pilot's decision to conduct a visual flight in instrument meteorological conditions, which resulted in controlled flight into mountainous terrain. On August 1, 2015, about 0905 Pacific daylight time, a Cessna P337G, N4CU, impacted mountainous terrain about 2.8 miles east of Santa Paula Airport, Santa Paula, California. The commercial pilot was fatally injured and the airplane was substantially damaged. The airplane was registered to the pilot and operated under the provisions of 14 Code of Federal Regulations, Part 91. Instrument meteorological conditions prevailed for the flight and no flight plan had been filed. The flight originated at Santa Paula Airport and was destined for California City, California. Airplane wreckage was located by California Resources Corporation employee who was working at the South Mountain Booster Plant. He located the wreckage about 1400 PDT on August 1. A witness reported seeing the airplane takeoff at 0902 from runway 22 at Santa Paula Airport. The airplane disappeared into a 300 foot above ground level (agl) overcast then reemerged after turning 180 degrees on a close downwind to the runway. It then departed on the downwind to the east. The wreckage was located on the north side of South Mountain on a 40 degree slope populated with scrub trees at an elevation of 1,223 feet mean sea level (msl), 2.8 miles east of the departure airport. The initial point of impact was the left wingtip identified by wingtip fairing fragments and topped-off small trees/brush next to the main impact ground scar. Contained within the ground scar was the landing gear door. Clipped brush and ground scar evidence is consistent with a level attitude at time of impact. The airplane traveled upslope 20-30 feet beyond the initial impact point, along a 205° magnetic bearing direction. The pilot, age 82, held a commercial pilot certificate with ratings for airplane single-engine land and sea, and multiengine land issued June 11, 1995. He held a third-class medical certificate issued February 1, 2008, with the limitation that he must have glasses available for near vision. Additionally the pilot held a mechanic airframe and powerplant certificate, issued on August 7, 2008. The pilot's logbook was not located for examination. On the pilot's February 1, 2008, application for his medical certificate he reported total flight time of 3,290 hours. The six-seat, high-wing, twin engine, retractable landing gear airplane, serial number P3370065, was manufactured in 1973. It was powered by a Rolls Royce TSIO-360D in the front, and a Continental Motors TSIO-360C(5B) in the rear, both capable of producing 225 horsepower. Both engines were equipped with McCaulley constant speed, two bladed, propellers. A review of the airplane's maintenance logbooks showed that an annual inspection was performed on July 31, 2014. At the time of the inspection the documented total time on the airframe was 2,246.7 hours. The front engine logbook documented that a 100 hour inspection had been completed on July 31, 2015, time since overhaul (TSOH) of 921.7 hours. The rear engine logbook showed that a 100 hour inspection had been completed on July 31, 2015, at 1,403.0 hours TSOH. Both engine inspections were signed by the pilot, who held a mechanic airframe and powerplant certificate. Family members of the pilot stated that the intention of the flight was to travel to California City, California, where a mechanic was going to finish the annual inspection. The nearest weather reporting station was Camarillo Airport, located about 10 miles southwest of the accident site. At 0855 the automatic surface observation system (ASOS) recorded calm wind, 5 statute mile visibility in haze, a 700 foot agl overcast, temperature was 21 degrees Celsius, the dew point was 18 degrees Celsius, and the atmospheric pressure was 29.99 inches of mercury. The GOES-15 satellite visible image at 0900 depicts an area of low stratiform clouds and/or fog over the accident site and the departure airport, and generally hugging the California coastal sections. The San Diego upper air sounding plot supports cloud or stratus layer with tops to only 2,000 feet agl with a defined temperature inversion from 2,000 to 4,000 feet, stable atmosphere and light winds. The radiative cloud top temperature over the accident site was 292° Kelvin or 18.8° Celsius (C), which corresponded to cloud tops at 2,152 ft msl. The wreckage was located on a 40° slope upright with the wings and tail sections intact, on a 137° magnetic bearing, and 20-30 foot ground scar oriented along 205°. The wings had separated at the wing roots but remained next to their approximate location along the fuselage. The forward firewall was displaced aft into the cockpit instrument panel and the cockpit floor was displaced upward into the cabin. The left tail boom remained attached to the left wing and extended aft. The stabilizer and elevator remained attached to the tail booms. Both vertical fins and rudders remained attached to the tailbooms. The forward engine was displaced down and to the left, the propeller had separated from the crank shaft behind the propeller flange. The aft engine remained attached to the aft engine mount and was displaced to the right. The propeller remained attached to the engine. All flight control surfaces were present, and the flight control cables were traced and found continuous. Fuel was confirmed present in the left wing fuel tank and in each of the engine distribution valves. Both engine crankshafts were rotated manually and thumb compression achieved on all cylinders. Both propellers exhibited leading edge damage and blade tip damage consistent with power application. An autopsy was performed on the pilot by the Ventura County Medical Examiner-Coroner, Ventura, California, on August 3, 2015. The cause of death was listed as "blunt force trauma." The Federal Aviation Administration's Civil Aerospace Medical Institute (CAMI), Forensic Toxicology Research Team performed toxicology on specimens from the pilot with negative results for ethanol and listed drugs. Tests for carbon monoxide and cyanide was not performed. On August 1, 2015, about 0905 Pacific daylight time, a Cessna P337G, N4CU, impacted mountainous terrain about 3 miles east of Santa Paula Airport, Santa Paula, California. The commercial pilot was fatally injured and the airplane was substantially damaged. The airplane was registered to the pilot and operated under the provisions of 14 Code of Federal Regulations, Part 91. Instrument meteorological conditions prevailed for the flight and no flight plan had been filed. The flight originated at Santa Paula Airport and was destined for California City, California. Airplane wreckage was located by California Resources Corporation employee who was working at the South Mountain Booster Plant. He located the wreckage about 1400 PDT on Saturday, August 1. A witness reported seeing the airplane takeoff at 0902 from runway 22 at Santa Paula Airport. The airplane disappeared into a 300 foot above ground level (agl) overcast then reemerged, after turning 180 degrees, on a close downwind to the runway. It then departed on the downwind to the east. The wreckage was located on the north side of South Mountain on a 40 degree slope populated with scrub trees at an elevation of 1,223 feet mean sea level (msl). The initial point of impact was the left wingtip identified by wingtip fairing fragments and topped-off small trees/brush next to the main impact ground scar. Contained within the ground scar was the landing gear door. Clipped brush and ground scar evidence is consistent with a level attitude at time of impact. The airplane traveled upslope 20-30 feet beyond the initial impact point, along a 205° magnetic bearing direction. The nearest weather reporting station was Camarillo Airport, located about 10 miles southwest of the accident site. At 0855 the automatic surface observation system (ASOS) recorded calm wind, 5 statute mile visibility in haze, a 700 foot agl overcast, temperature was 21 degrees Celsius, the dew point was 18 degrees Celsius, and the atmospheric pressure was 29.99 inches of mercury. The GOES-15 satellite visible image at 0900 PDT (1600Z) depicts an area of low stratiform clouds and/or fog over the accident site and the departure airport, and generally hugging the California coastal sections. The San Diego upper air sounding plot supports cloud or stratus layer with tops to only 2,000 feet agl with a defined temperature inversion from 2,000 to 4,000 feet, stable atmosphere and light winds. The radiative cloud top temperature over the accident site was 292° Kelvin or 18.8° Celsius (C), which corresponded to cloud tops at 2,152 ft msl. 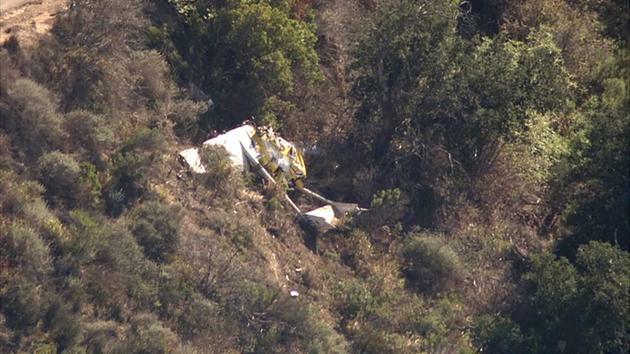 SANTA PAULA (CBSLA.com) — Officials said the wreckage of a small twin-engine plane that is believed to have crashed days ago has been found in a remote part of Santa Paula. The wreckage was found reportedly by a passerby around 3 p.m. Saturday near Loftus Canyon Road and Morgan Canyon Road. Authorities said the pilot was found dead. There were no passengers on board. The wreckage of the Cessna 337 was found in a mountainous area about four miles from the Santa Paula Airport. CBS2’s Laurie Perez said the victim has been identified as a senior who lived in Ojai with his wife. The man’s wife said he went out for a quick flight this morning but never returned home. 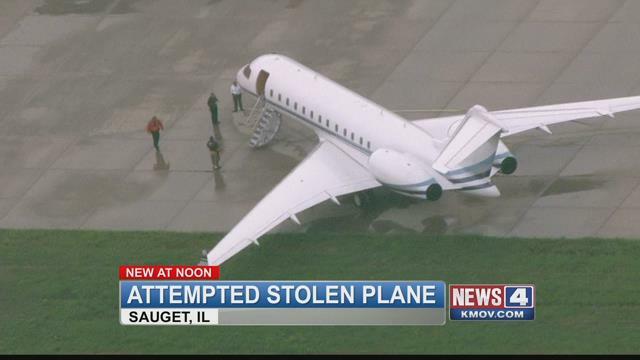 Locals said the man took the plane out hundreds of times without incident. No witnesses saw the crash. The plane came down in a remote area that is difficult to access, Perez reported. A maintenance man spotted the wreckage. “He thought perhaps it was a car that went over the side and upon further investigation he realized it was an aircraft and called 911,” said Capt. John Harber with the Santa Paula Police Department. “We went over the side to investigate and found one adult male who was deceased,” said Harber. The fire captain believes early-morning fog might have hidden the crash from public view. Michael Jewett saw the pilot just yesterday. He identified the man as Jim Breeding. “I saw his airplane taxi out and get prepared for flight in the afternoon,” said Jewett. Jan Breeding says her husband owned the plane for years and had been flying since he was 16-years-old. She said aviation was his lifelong hobby and passion. She said her husband left around 8:30 this morning to meet friends in the sky. Breeding was 82 years old. The FAA’s mandatory retirement age for commercial pilots is 65; however, that limit does not apply to private pilots. SANTA PAULA, Calif. - An 82-year-old man has been identified as the person who died Saturday in a plane that crashed in the oil fields near Santa Paula. Ventura County Supervising Deputy Medical Examiner James Baroni said the person who died was James “Jim” Breeding of Ojai. An autopsy is planned for Monday, Baroni said. Breeding was the sole occupant of the downed aircraft, which was reported at about 2:30 p.m. Saturday by a passer-by who spotted the wreckage of the twin-engine Cessna 337 on the side of a hill, roughly four miles southeast of the Santa Paula Airport, near Loftus Canyon Road and Morgan Canyon Road. Sheriff’s Capt. Romano Bassi said the Federal Aviation Administration and the National Transportation Safety Board are investigating the incident. NTSB investigators were still working at the site Sunday morning, according to the sheriff’s department. A spokesperson for the NTSB could not immediately be reached for comment. Information from the FAA shows the plane has been registered to Breeding since 2008, however the registration expired on July 31. The six-seat plane was manufactured in 1972 and declared airworthy in February 1973. Breeding’s FAA registration listed his address as a P.O. Box in Talkeetna, Alaska. One person was reported dead after a downed airplane was found in the mountains near Santa Paula, the Ventura County Fire Department said. The downed aircraft was reported about 2:30 p.m. near Loftus Canyon Road and Morgan Canyon Road. A helicopter with the Ventura County Sheriff’s Office reported an aircraft on the side of the hill. Officials said the sole occupant of the plane was dead. Crews on the scene reported that aircraft may have been down for a couple of days. According to Federal Aviation Administration records, the tail number of the plane indicated it was a Cessna T337G plane that was registered out of Talkeetna, Alaska. Information from the Federal Aviation Administration showed the plane was manufactured in 1972 and declared airworthy in February 1973. It had six seats, according to records. The Ventura County Sheriff’s Office was requested to investigate the crash and the National Transportation Safety Board was notified of the incident, officials said. 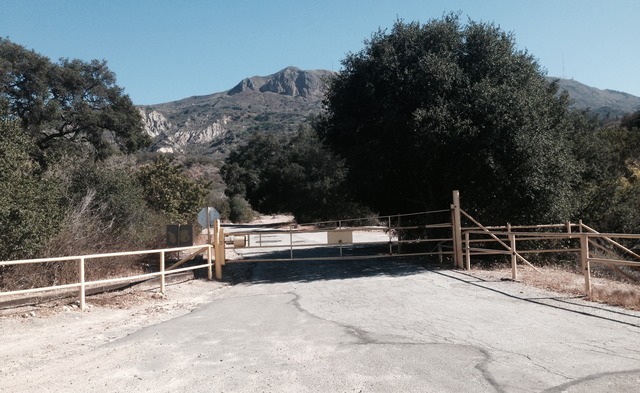 A coroner with the Ventura County Medical Examiner’s Office was called to the scene. The Ventura County and Santa Paula fire departments were also on the scene.